Or a key for a lock of his hair? Because there are pupils there? In the crown of his head, what gems are set? Who travels the bridge of his nose? 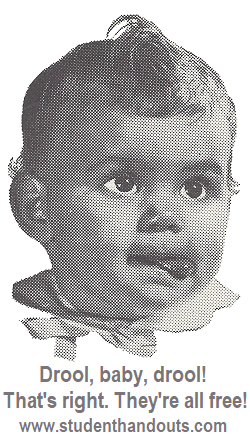 What does he raise from a slip of his tongue? And who beats the drums of his ears? Of the coat his stomach wears? Can the crooks of his elbows be sent to jail? And, if so, what did they do? How does he sharpen his shoulder blades? I'll be darned if I know. Do you? Click here to print (PDF). This old American folk rhyme is very popular with children. For more of our free poems for children and supplementary worksheets, click here. 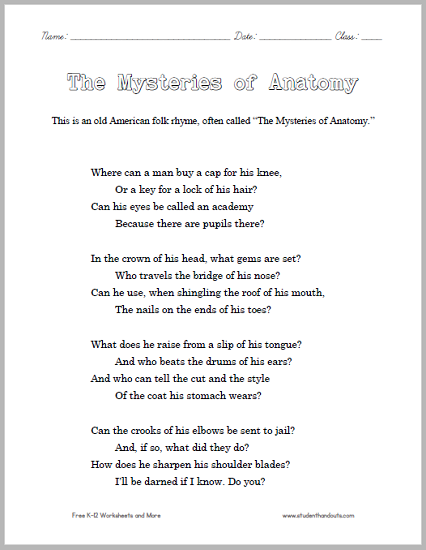 This poem works wonderfully for helping young kids know (and spell) parts of the human body. Once they've read and understood the poem, try having them play the free interactive Gap Text quiz game below.